Cards can be art too! On special occasions such as birthdays, anniversaries and graduations we all receive beautiful cards to commemorate that special moment. But every now and then there is that super special card that makes you smile and so the dilemma is where to display it… the answer darlings is to frame it! A black wooden picture frame for all of your favourite greeting cards, you can save and treasure these special cards. 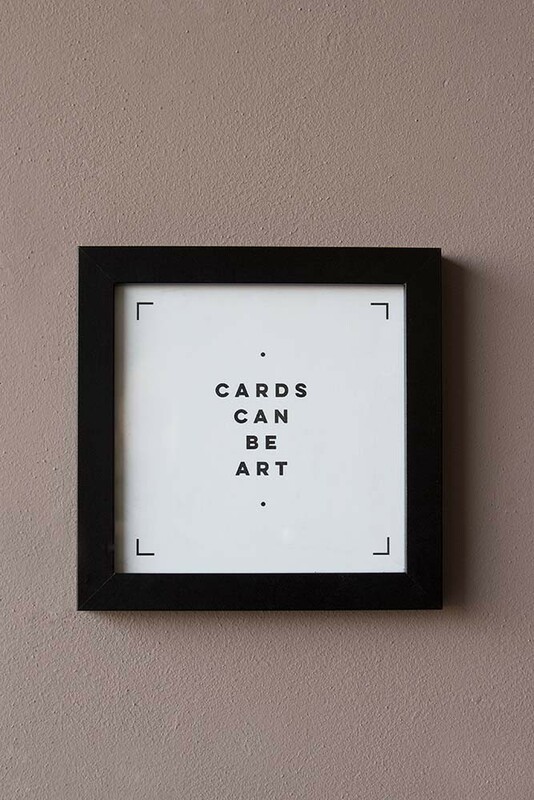 At RSG we believe that it’s really important to display your special photos, cards and art prints around your home and office as they can be so inspiring and will always add a unique touch to your spaces, shelves and desks and the Picture Frame For Greeting Cards is the perfect picture frame for the job! A great gift idea too, why not frame a card and give it to your loved one as a super special present.